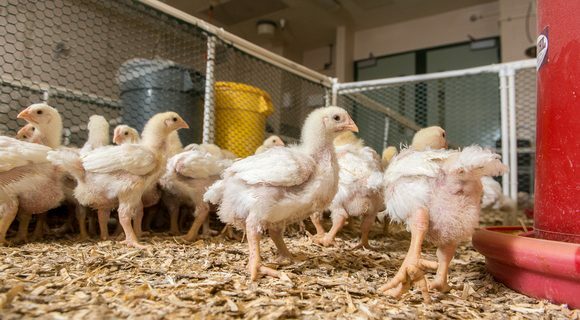 The University of Maryland Extension is offering a one-day workshop for commercial poultry growers needing assistance filling out their comprehensive environmental response, compensation, and liability act (CERCLA) registration. Additionally, help will be available to answer questions poultry growers, livestock farmers, and others may have about completing their annual implementation report (AIR) and other Maryland Department of the Environment (MDE) animal feeding operation (AFO) forms. A demonstration of MDE’s beta version of the e-AIR will also be available. This will be an “informal” workshop. Members of the University of Maryland Extension, Agriculture Law Education Initiative, Department of Agricultural and Resource Economics, Maryland Department of Agriculture and MDE, will be available from 9 a.m. until 3 p.m. to assist growers. Growers do not need to make an appointment and can walk in when they have the time. Day 1: Friday, February 2, 2018 – Will be at the Caroline County Extension Office (9194 Legion Road, Denton, MD 21629) from 9 a.m. until 3 p.m.
Day 2: Monday, February 5, 2018 – Will be at the Wicomico County Extension Office (28647 Old Quantico Rd., Salisbury, MD 21801) from 9 a.m. until 3 p.m. This workshop is open to all. If you need special assistance, please contact Sheila Oscar at 410-742-1178 or email at soscar@umd.edu two weeks before the date. For more information, call or email: Jon Moyle( jmoyle@umd.edu, 410-742-1178) or Jenny Rhodes( jrhodes@umd.edu, 410-758-0166).